Where comfort and convenience meets contemporary, the new Premium Economy is thoughtfully designed for the discerning traveller who wants a little more. Premium Economy offers increased personal space with more width, more legroom and a wide centre console. Whether you are resting, working, or enjoying a movie, you can keep everything that you need right next to you in the dedicated stowage areas for your water bottle, laptop, headphones and other personal items instead of bothering everyone around you looking for your bags in the overhead lockers. 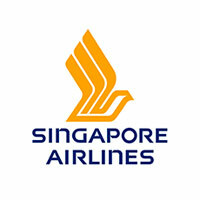 Singapore Airlines offers a variety of exquisite food and beverages, from Singapore and Asian flavours, to international classics. You can book your meal from a selection of specially created dishes through the Premium Economy Book the Cook service up to 24-hours before you fly. Enjoy a glass of Champagne or two, or take your pick from a wide range of on-board drinks. With active noise cancelling headphones, the whole family will be entertained with crystal clear sound as you choose from more than 1,000 on-demand options to enjoy including movies, TV and games, using the touchscreen handsets.